Peruvian Presidential Candidate Ollanta_Humala. Photo by José Cruz. 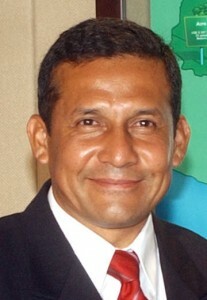 Peruvian Presidential Candidate Ollanta Humala. Photo by José Cruz. Top Story — Left-leaning nationalist Ollanta Humala took the lead in Peru’s presidential race, according to a poll by CPI released Sunday. Some 21.1 percent of those polled said they intended to vote for Humala, up from 15.7 percent the previous week. Keiko Fujimori –daughter of the former president Alberto, who is now serving a 25-year sentence for human rights violations — trails Humala with 19.9 percent. Former President Alejandro Toledo, long the race’s frontrunner, held third place according to the poll. No candidate enjoys enough support to avoid a runoff and roughly a quarter of respondents do not know who they will vote for. 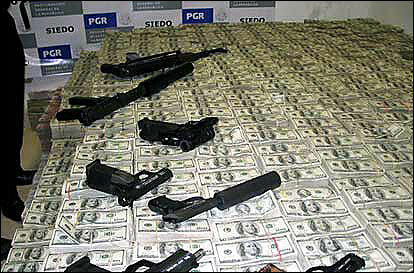 High levels of volatility marked Peru’s last three presidential elections. “If Mr. Humala won, I would be willing to support him with issues such as job creation, the democratic distribution of electricity and water, and improvement in education,” current President Alán García said, according to Peruvian daily El Comercio. A survey released this month by Consulta Mitofsky of Mexico found that Alán García had the lowest approval rating of 20 presidents studied in the western hemisphere, with 27 percent. Mexico’s drug has displaced about 230,000 people, with about of those displaced taking refuge in the United States, according to according to a report by the Swiss-based Internal Displacement Monitoring Center. A 3.6 magnitude earthquake shook Baja California on Saturday afternoon, but there were no reports of damage or injuries. 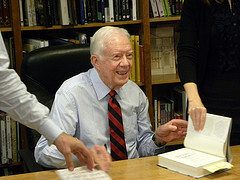 The Cuban government confirmed Saturday that former-U.S. President Jimmy Carter will travel next Monday to the island to meet Cuban President Raúl Castro. 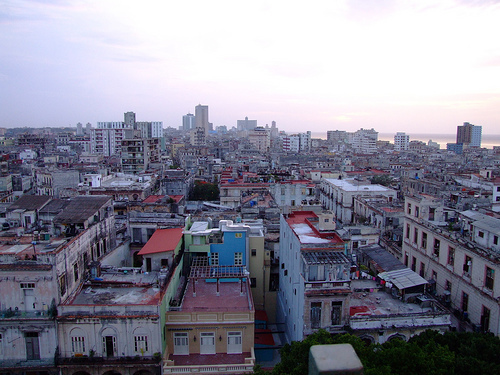 Cuba has begun the first major overhaul of its struggling Soviet style state run economy since the 1960s. 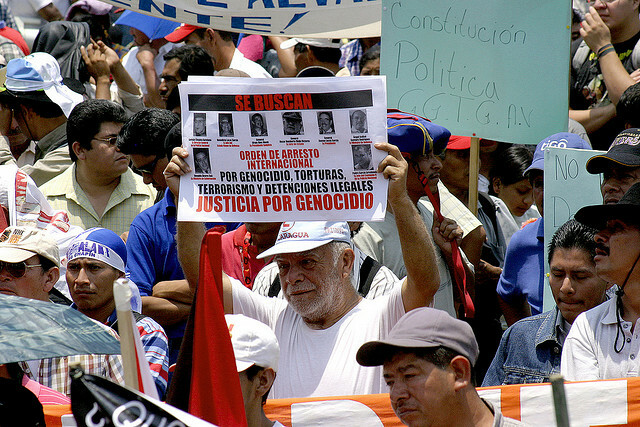 Salvadoran police arrested the suspected head of a gang involved in smuggling migrants to the United States, including at least six people slain in northern Mexico in 2010. Honduran President Porfirio Lobo Sunday threatened to fire teachers if they continue a three-week-old strike that has aggravated divisions caused by a 2009 coup. Colombian armed forces killed 15 guerrillas in the western province of Cauca, President Juan Manuel Santos said Saturday. A poll suggests Venezuelans are split between President Hugo Chávez and the opposition, although one third are undecided about whom they would vote for if elections were held soon. A leaked Iranian cable revealed that Argentine officials may have secretly agreed with Iran not to investigate a 1994 bomb blast at a Jewish center in Buenos Aires that killed 85 people. Former Brazilian President Lula da Silva traveled to Uruguay to make a speech honoring the anniversary of the Frente Amplio, Uruguay’s leftist coalition party, and Uruguayan president José Mujica. Chilean fisheries are expecting increased demand for coho salmon after destruction caused by Japan’s recent earthquake harmed 20 per cent of the country’s fishing industry. 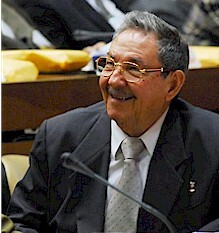 Image: José Cruz @ Wikipedia.